There’s nothing like impressing your friends and making them happy. You could try cat juggling or a magic act but things can go terribly wrong if not executed perfectly. 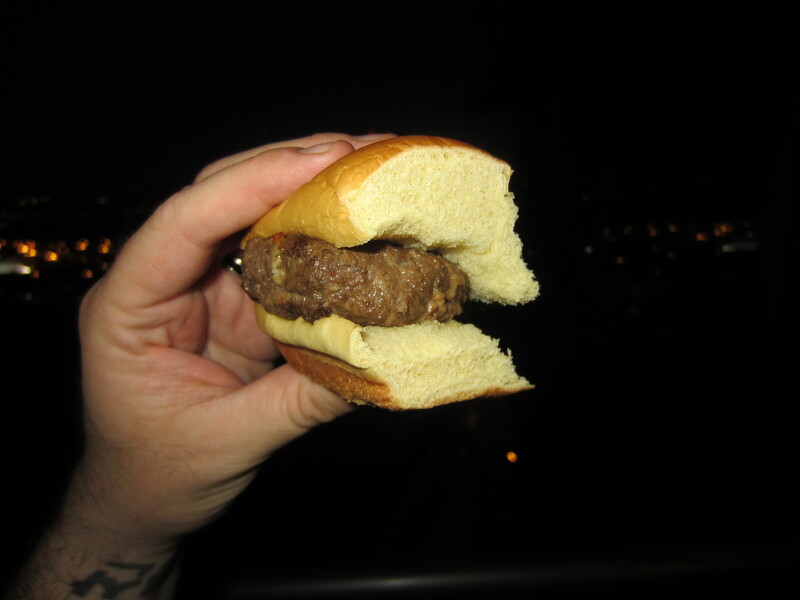 I suggest trying your slight of hand at grilling, it’s easier, takes less practice and if you follow my recipes, will make you look like even more of a star. This little grilling trick will leave your party guests in a state of shock and awe so be ready for all the back-patting, high-fiving and compliments you can handle. 1. 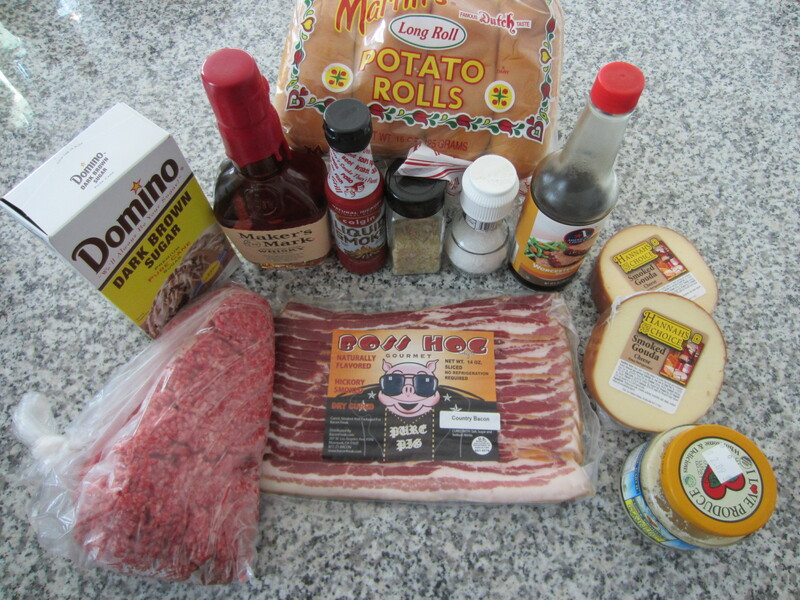 Fry the bacon. Once the bacon has cooled down, chop it up into small pieces. 3. 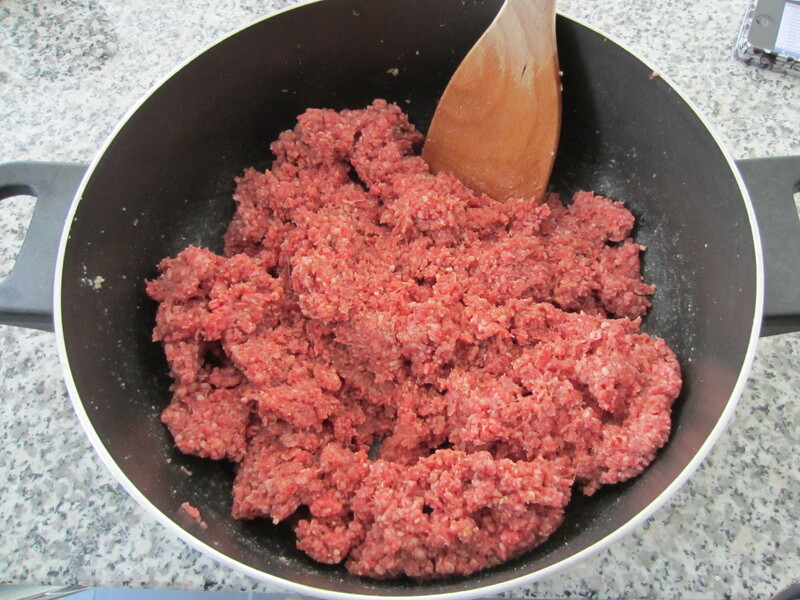 Hand mix all other ingredients, besides the Cheese and Bacon, in a bowl. 4. Get out a cookie sheet and spray it with a little non-stick cooking spray or spread a small layer of olive oil on it. 5. 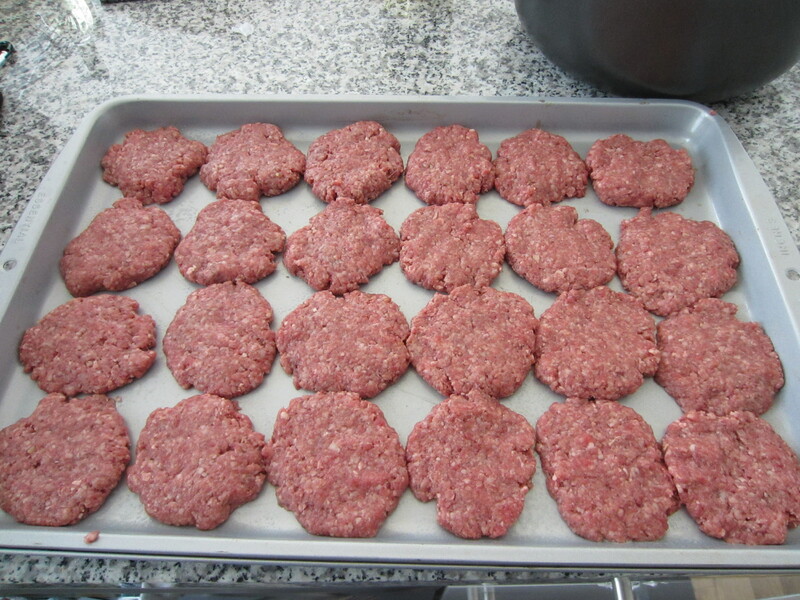 Fashion the meat into an even number of patties, about 2.5 – 3″ across, and place them on the cookie sheet. 6. 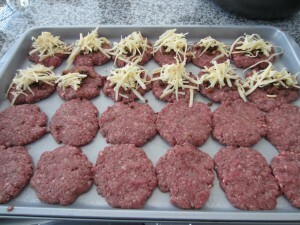 Place a good sized sprinkle of smoked Gouda on top of half of the patties. 7. Cover each of them with the chopped bacon pieces. 8. Take an equal amount of patties and place one on top of each of the bacon-smoked Gouda topped patties. 9. 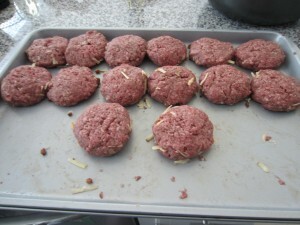 Take each of the double patties and seal up the edges by gently pushing the sides of the burger together. 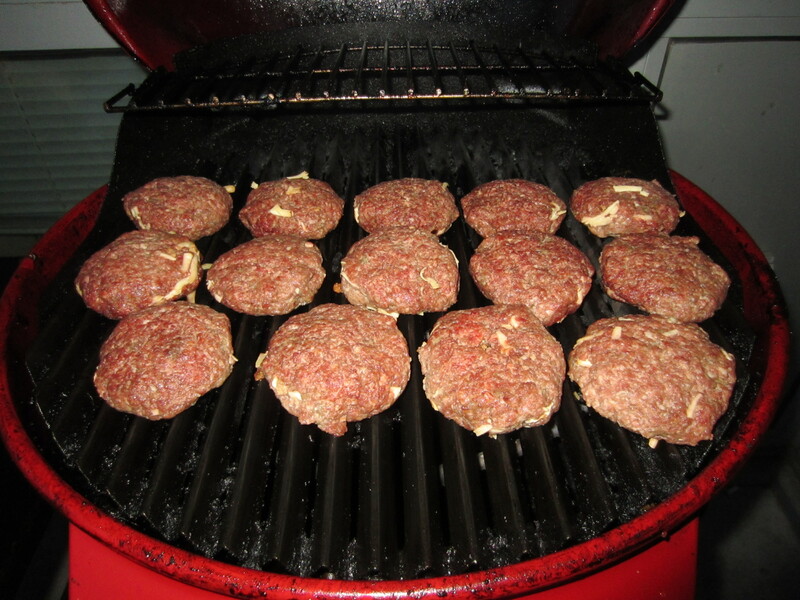 When you are done, they will look like big fat burger patties and no one will see the magic surprise hiding inside. 10. 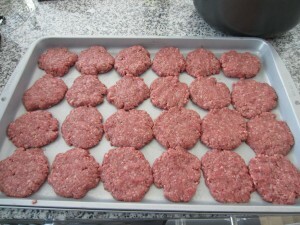 Place the burgers in the fridge for at least an hour, you can go up to 6 hours. 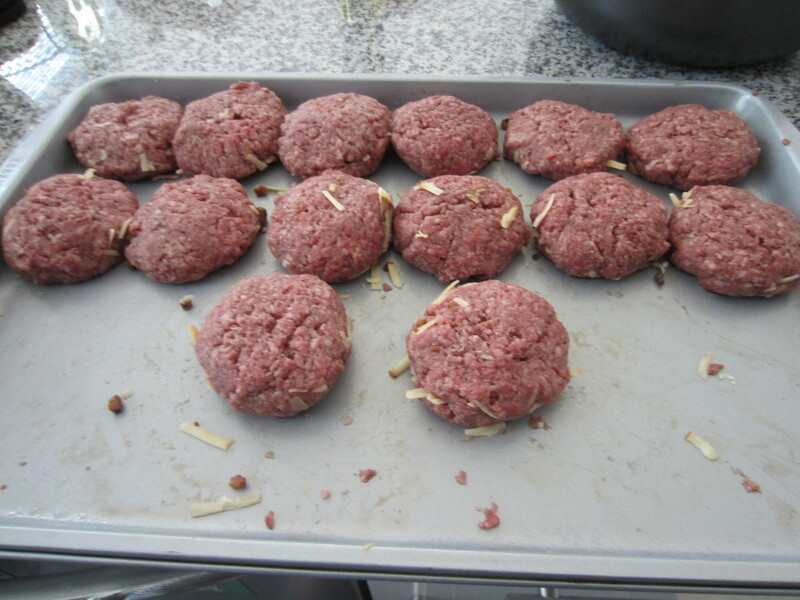 This will allow the patties to harden a little which will keep them held together. More importantly, the flavor of the bourbon will soak into the meat. 11. Slice the Hot Dog rolls in half. 12. Preheat grill to medium. Grill burgers about 3 minutes a side, keeping lid closed where possible. 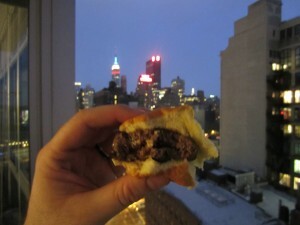 Serve to your friends and watch their eyes light up as they bite into a drunken Burger with a smokey-cheesy magic middle. This entry was posted in Burgers, Gourmet Burgers, Hamburgers and tagged bacon, bourbon, bourbon soaked bacon beast, burger, cheese, ciancio, conquest, french, fries, great, grilling, hamburger, new york, ny, nyc, recipe, rev, review, the, the rev meter for social community. Bookmark the permalink.